Vinesh Phogat capped a highly successful season by grabbing the 57kg national title while Sakshi Malik ended a terrible year by emerging champion in the 62kg at the Senior National Championship on Saturday. Vinesh has already stamped her class at international level by winning the Commonwealth Games and the Asian Games titles and it was just about getting some match competition under her belt after missing the Worlds due to an elbow injury. On way to her sixth National title, Vinesh conceded just two points in five bouts. She had earlier won five Nationals in a row from 2012 to 2016 in different categories. She began with a 13-2 win over Chandigarh's Neetu. The score looked convincing but Neetu fought her heart out in the opening round. Next up for Vinesh was Sweta Balagatti but the Karnataka athlete was no match to the Haryana wrestler, who ended the bout in two minutes with a pin after leading 8-0. In the quarterfinals, Haryana's Manisha initially put up a fight against Vinesh but the star Indian grappler proved too powerful for her rival. After leading 6-0 following the first period with two take-down points, Vinesh applied a superb four-point throw to end the bout on technical superiority. 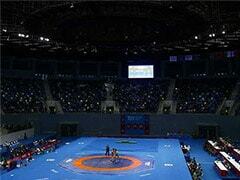 The final against Babita was only the second bout, which required a second period. Vinesh secured the title by taking the score to 10-0, with more than two-and-a-half minutes left. Sakshi, on the other hand, did a world of good to her confidence by winning the title in the 62kg without losing a single point. The dominance continued with Sakshi outclassing Manipur's A Luwang Khombi in just 43 seconds. The Olympic medallist maintained the winning run by outwitting Haryana's Poona 11-0 to secure her place in the summit clash. Ritu began her campaign in the 65kg with a dominating win over Madhya Pradesh's Maya Yadav. 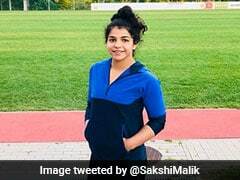 The Railways grappler, who had reached the bronze medal round at the World Championship in the same category, pinned her opponent in a matter of seconds. The next rival - G Rohini - also met the same fate as Ritu moved to quarterfinals.